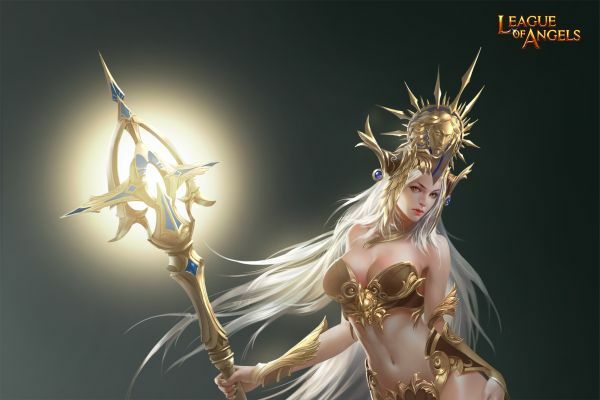 League of Angels is one of the most famous browser games out of 2014. One of LoA’s strongest parts is the variety of in-game events that happen on a weekly basis specifically designed to keep players interested and active within the game. Usually League of Angels announces 2 or 3 events per week, always upping the ante in terms of great rewards and gameplays available to all players for free. This week will be no exception and is full of hot events which will not only surprise players but also enrich their gaming experience. Are you ready for this? This week’s events will be the Angel’s Chest and Beach Treasure! Both of the two events needs players to be lucky and dedicated alike if they want to get the top prize, but don’t get disheartened; most players taking part in the events will get rewards and treasures far beyond their expectations! This time, the top players will have the chance to take home the new angel known as Sunniva. She is known as the Goddess of Liberty and will not only set your mind free, but also your body. She is available exclusively in the event called Angel’s Chest and contains great stats and a charming appearance. Since the team of angels is becoming bigger and bigger, it seems like something special is about to happen in the world of LoA. So what is it? Let’s just keep our eyes open and wait. We promise it’ll be worth your while!